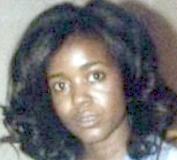 Emmetta was last seen in Fairfield, Alabama on August 1, 1980. On the day of her disappearance, she had plans to go out with her estranged husband, Leroy, and buy shoes for their baby daughter. Emmetta made plans to shop with her mother and sister the next day. When Emmetta's sister drove to her home the next day, Emmetta's car was in the driveway and her infant daughter was naked and crying, alone, on the floor inside. Nearby was an empty bottle and a dirty diaper. Emmetta's keys and a bedspread were missing from the home, and Emmetta's sister smelled a chemical odor which she thought might be ether. The carpet had fresh stains, but police said the stains weren't blood. The house was locked; the front door had to be locked with a key both inside and out. When questioned about Emmetta's disappearance, Leroy said he'd picked her and the baby up at 6:30 p.m. and taken them to the Roebuck shopping center. They went to Brookwood Village and bought shoes, then had a hamburger on the Green Springs Highway. Leroy said they then returned to Emmetta's home in Fairfield and he stayed for twenty to thirty minutes before leaving. He said they didn't argue and Emmetta told him she was going to have dinner with Warren King, her first husband. When police talked to King, he said he and Emmetta did have dinner plans but she never showed up. He said he kept calling her throughout the night, but was unable to reach her and gave up by 6:30 a.m.
King was shot to death in 1994; at the time of his murder he was under indictment in a trial-rigging conspiracy. Police stated he wasn't a suspect in Emmetta's case. 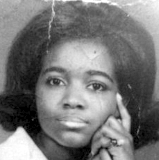 Emmetta worked as a secretary for Alabama Power at the time of her disappearance. Her case remains unsolved. Updated 1 time since October 12, 2004. Last updated November 30, 2016; casefile added.